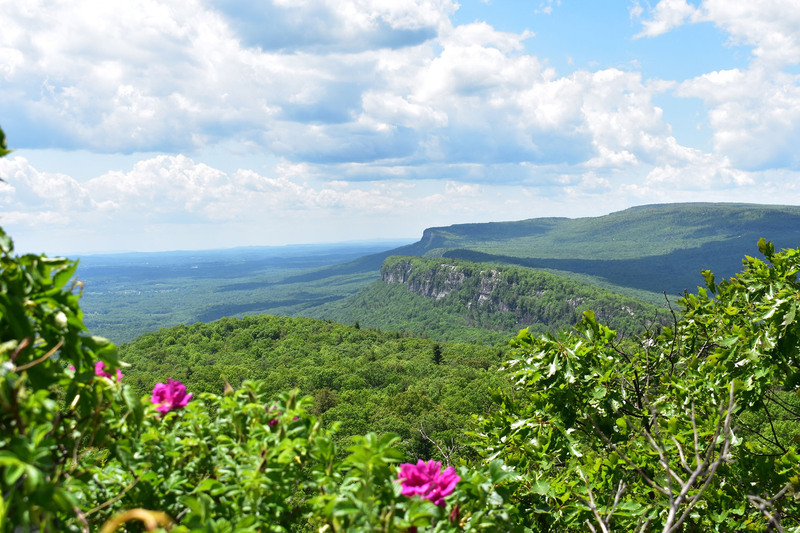 Personal butlers and stunning views make traveling by rail the way to go. 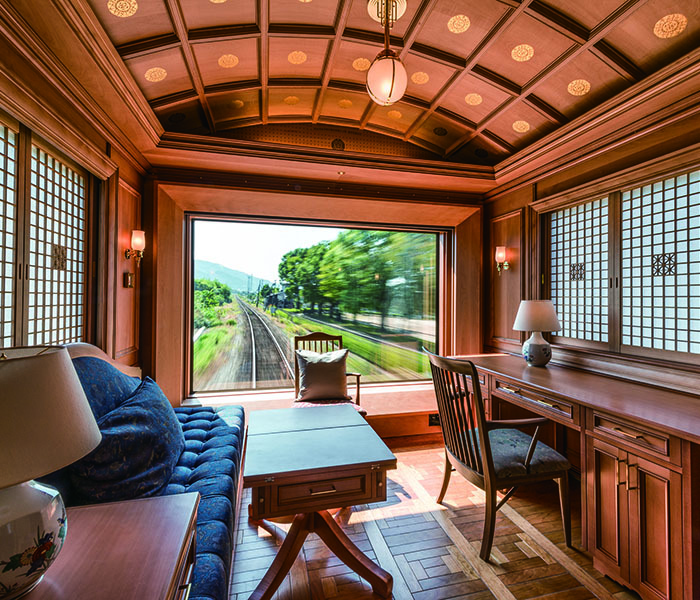 High-end long-distance rail travel is no longer just about four-course meals and roomy cabins. 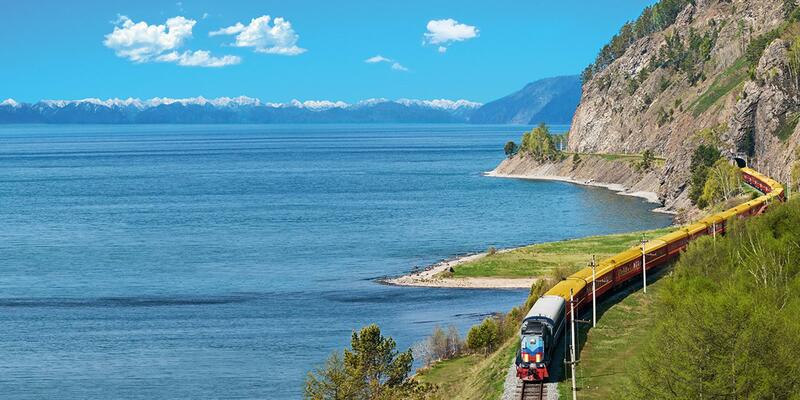 The best train trips these days are centered around adventure excursions, from safari game drives to cruising around an archipelago, all while upping the ante on onboard pamperingand dining. 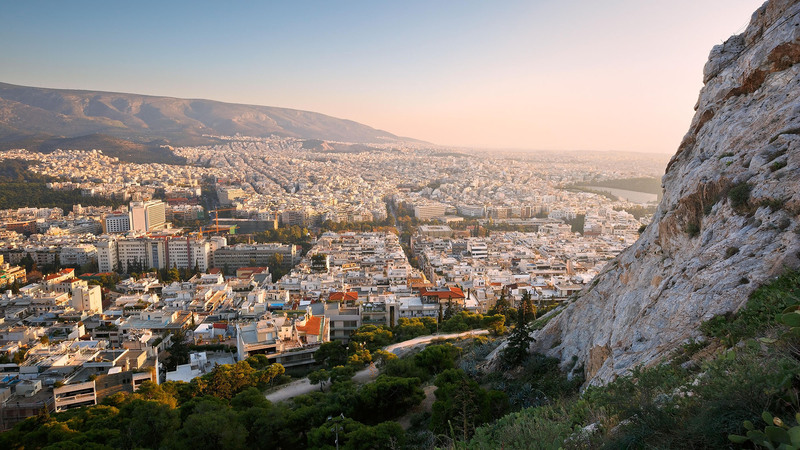 Here, five to add to your bucket-list. 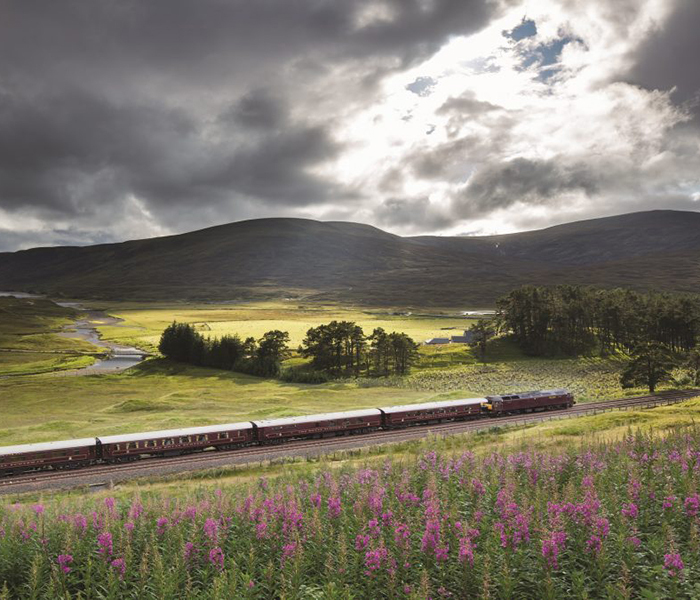 The Belmond Royal Scotsman bills itself as a “country house on wheels,” so it’s no surprise that fishing, clay pigeon shooting, and boating are all offered during the five-day Classic Journey from Edinburgh to the Scottish Highlands. In the land of whiskey and golf, travelers can expect distillery tours and tastings, plus some tee time (on a castle estate, no less). Follow it all with the ultimate in onboard spa treatments: a facial with hot stone therapy and deep tissue massage in the new Bamford Haybarn Spa carriage featuring sustainable wood from Scotland and the Cotswolds. Rovos Rail’s nine-day Golf Safari travels to six renowned golf courses throughout South Africa. It also provides one of the few opportunities for non-members to tee off at the ultra-exclusive 18-hole championship course at Leopard Creek, where sightings of hippos and antelope are commonplace, and the 13th hole green overlooks the Crocodile River. The luxe wood-paneled trains also journey to some of southern Africa’s best reserves, including Kruger National Park, where drives through rolling grasslands and vast open plains offer plenty of opportunity to marvel over the iconic Big Five (lions, leopards, elephants, buffalo and rhinos). 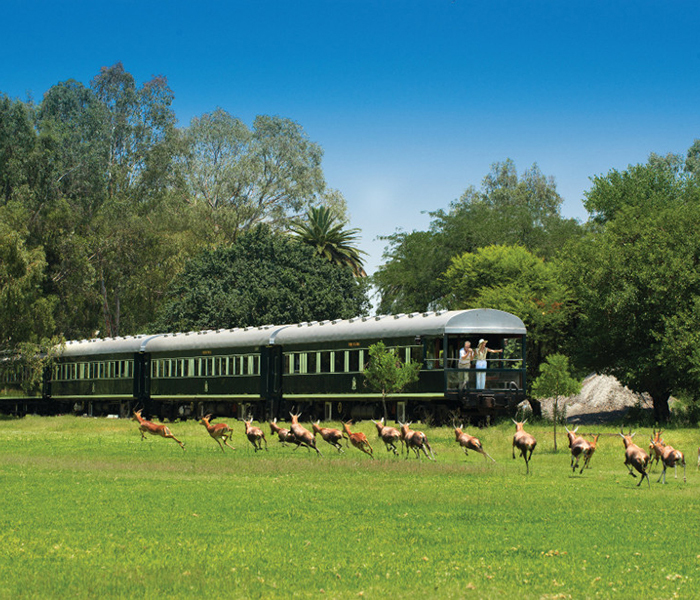 Plus, the charming Victorian dining cars feature local gourmet dishes such as ostrich fillet or Cape Rock lobster. Nomadic Expeditions, the high-end tour operator known for its epic Mongolian trips that might include off-roading, horse trekking or camel riding, now offers another type of excursion: the rail journey. 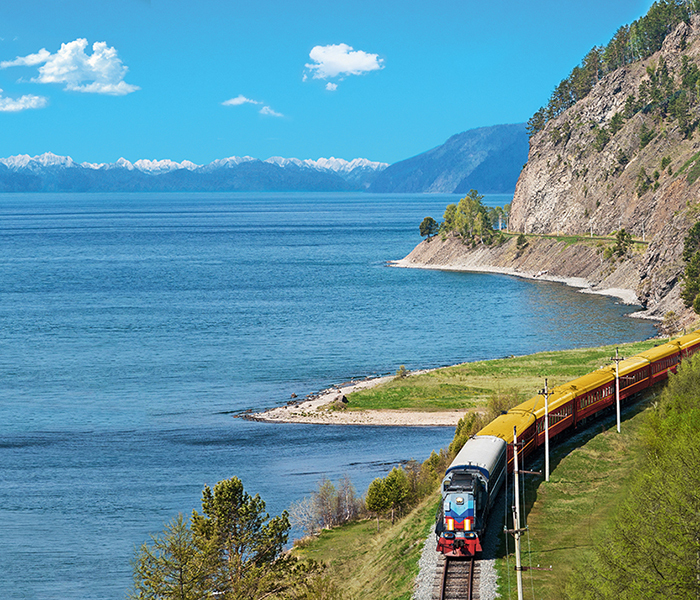 Its 13-day Moscow to Ulaanbaatar expedition takes place on the iconic, century-old Trans-Siberian Railway. Excursions range from cruising immense Lake Baikal and relaxing in a traditional Russian banya (sauna) to attending the opening ceremony of Ulaanbaatar’s Naadam Games and taking in its wrestling and archery competitions. Then climb back onboard for dining on some of Russia’s finest delicacies including black sturgeon and red pacific salmon caviar. Opulent touches including personal butlers and hand-painted fresco ceilings on the nearly half-mile long Maharajas’ Express are meant to invoke the bygone days of plush, princely train travel. On the four-day Gems of India trip, the regal lifestyle continues with an open-air game drive through Rajasthan’s Ranthambore National Park, the one-time hunting grounds of the Maharajas of Jaipur, which is still home to tigers, leopards, striped hyenas, and more. 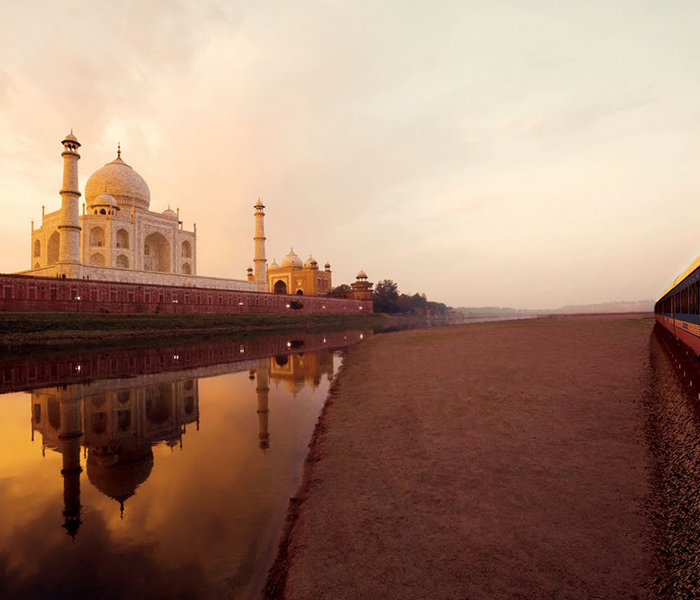 The lavish voyage also includes a visit to the Taj Mahal. Everything about the new ultra-luxe Seven Stars in Kyushu journey around the five Japanese prefectures (Fukuoka, Oita, Miyazaki, Kagoshima and Kumamoto) exudes calm and regeneration. Excursions include a cruise around the gorgeous Amakusa islands and a stroll around a historic shrine surrounded by lush sub tropical greenery. On board, travelers can enjoy fresh sushi bento boxes while watching the sun set over the azure blue waters of the East China Sea. Topping it all off is a night in a Kirishima resort to soak in the area’s famed natural hot springs.